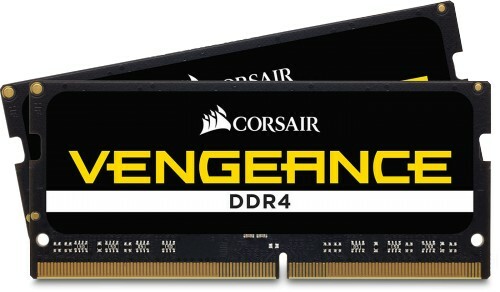 Corsair's Vengeance memory is fast and reliable DDR4 SODIMM for Intel's NUC platform systems as well as laptops. Corsair Vengeance Series DDR4 SODIMM memory modules are designed for high performance and reliability on Intel Core systems, with ICs specially selected for performance potential. No configuration is required to take advantage of the higher speed – just plug it in and go. Intel's NUCs take advantage of the small footprint SODIMM offers. This makes the Vengeance memory perfect for all DDR4 compatible NUCs.